Having to seek repair after repair on your vehicle is frustrating and stressful. If you’ve ended up in the repair shop time and again on the same issue, you may be entitled to compensation under California’s Lemon Law for your trouble. While pursuing a Lemon Law claim is difficult to do without expert help, state law provides help to ensure that you’re able to pursue your claims and get the money you deserve when an auto manufacturer provides you with a sub-par product. Read on to learn about the steps involved in a claim filed under California Lemon Law, and contact a California Lemon Law attorney with any additional questions. Anyone who has purchased or leased a vehicle for personal use in California (or as part of a small business fleet) and whose vehicle is under warranty is protected by California’s lemon law. When a vehicle has a mechanical issue that has a substantial effect on its use, value, or safety, the owner may be eligible for compensation under the Lemon Law. To be eligible for damages, the manufacturer must have had at least two chances to repair the issue (depending on the type of defect), or the car must have spent at least 30 days in a repair shop. In order to prove a Lemon Law claim, you’ll need to be able to present evidence that you own the car, have communicated with the dealer or manufacturer about the car’s defects, and have taken the car in for repairs numerous times. Gather paperwork that proves these facts in preparation for filing a claim, as well as any photos you’ve taken of faulty parts, warning lights, or other evidence of your trouble. Your next step will be to reach out to a lawyer who focuses their practice on Lemon Law. 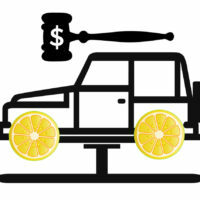 Auto manufacturers stand to lose thousands of dollars to a successful Lemon Law claim, leading them to invest a great deal in aggressive legal defense to these claims. You’ll want an attorney who is well-versed in how to succeed in a Lemon Law claim. Fortunately, California law states that claimants who are successful in a Lemon Law claim will be awarded their attorneys’ fees and court costs, so the manufacturer will pay the resulting fees, not you. Once an experienced attorney has determined that you do, indeed, have a Lemon Law claim, they will send a demand letter to the manufacturer that lays out the reason for the claim and requests the remedy you want. Your attorney can help you decide if you want a refund, replacement, or cash and keep settlement. After the manufacturer receives the demand letter, they’ll respond with either an approval or denial of your claim. With your input, your lawyer will continue to negotiate with the manufacturer, discussing potential settlement outcomes. If the manufacturer appears unwilling to settle your claim, your attorney will discuss the possibility of going to court on your claim to fight for the money you deserve. If you’re a California resident whose car has been stuck in repair shops for weeks on end or has a defect that threatens your safety which the manufacturer appears unable to fix, contact a dedicated and determined California Lemon Law attorney at the Nita Lemon Law Firm for a consultation, at 213-232-5055.